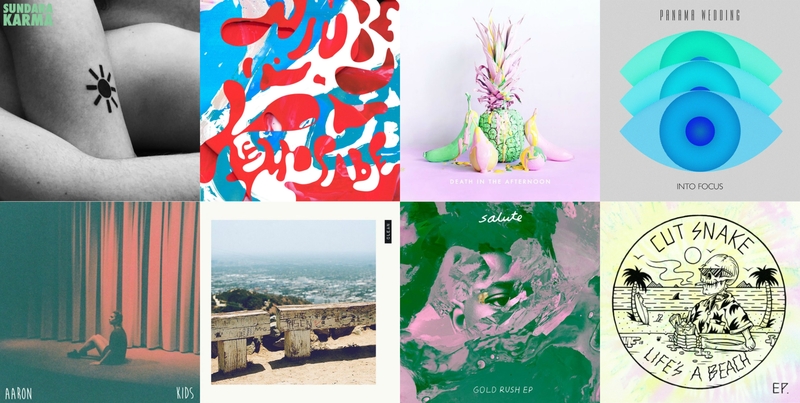 featuring The Japanese House, NoMBe, HØØNCH, Wayfarers, CLAVVS, The New Tarot & more! In “California Girls,” NoMBe explored the volatility of a relationship; in “Miss Mirage,” he dove into emotional turmoil and heartache; now, in “Kemosabe,” NoMBe appears to have completed the bargaining stage and moved on to acceptance, observing the absurdity of love and emotion from a distance while finding new ways of expressing his nostalgia for a past that will remain in the past… NoMBe takes these personal, yet shared experiences and creates a truly inimitable work of art, freezing those moments and all their thoughts and feelings in time. In that sense, “Kemosabe” is NoMBe’s closure. Dark, finely-crafted synthpop… What more can you ask for? They’re the coolest sunglasses around, and now they’re a cool band! Wayfarers​ is the ‘stylish’ NY/LA duo of Katie Cecil and Anthony Purpura. The three songs they’ve put out in the past six months have all been glittery, bombastic indie pop gems, with uncontrollably addictive high-flying choruses and bouncy, forward-driving verses. There’s nothing quite like seeing the artist having more fun making the music than you are listening to it – the energy exploding out of “Just Our Style” is palpable, like the warmth from a baby’s smile. Here’s a band that knows how to live in the heat of the moment. Party on, Wayfarers; party on. Amber Renee’s voice could kill the most anthemic pop tunes, but she opts for the depth and clarity of dark, mesmerizing electro-pop as one-half of CLAVVS. Together, Renee and Graham Marsh craft delicate and emphatic alt-pop. Sisters Monika and Karen Walker were born to perform: Loud, energetic anthems with tight rock and soul make The New Tarot a memorable, refreshing experience. “Stella” and “Tell Me You Like Me” are so far away from each other on the musical color spectrum that they could plausibly come from two different artists, but such is the valuable beauty of a band coming into its own: The New Tarot are digging for gold in all the right places.